Take these small steps to stay safe online. When setting the password for your home Wi-Fi router, ensure you use a strong password to protect your device. You want to keep it up to date and name it strategically, so hackers won’t know it’s in your home. When connecting to public Wi-Fi, confirm your connection is safe as hackers can hack your device and steal your personal information. When entering your information online, be careful to notice what is and what is not necessary to disclose. Check the privacy and security settings on each device to your comfort level for information sharing. Know what data your devices collect and how it is managed and stored. Sometimes having a unique password is not enough. Most hackers can guess your password or answer your security questions correctly. Instead, consider using a two-factor authentication that adds a second level of protection. You can increase your safety as well as the safety of your small business by using the Two-Factor Authentication for Apple ID in your settings. There are a few things you can do as an everyday user to protect your computer. 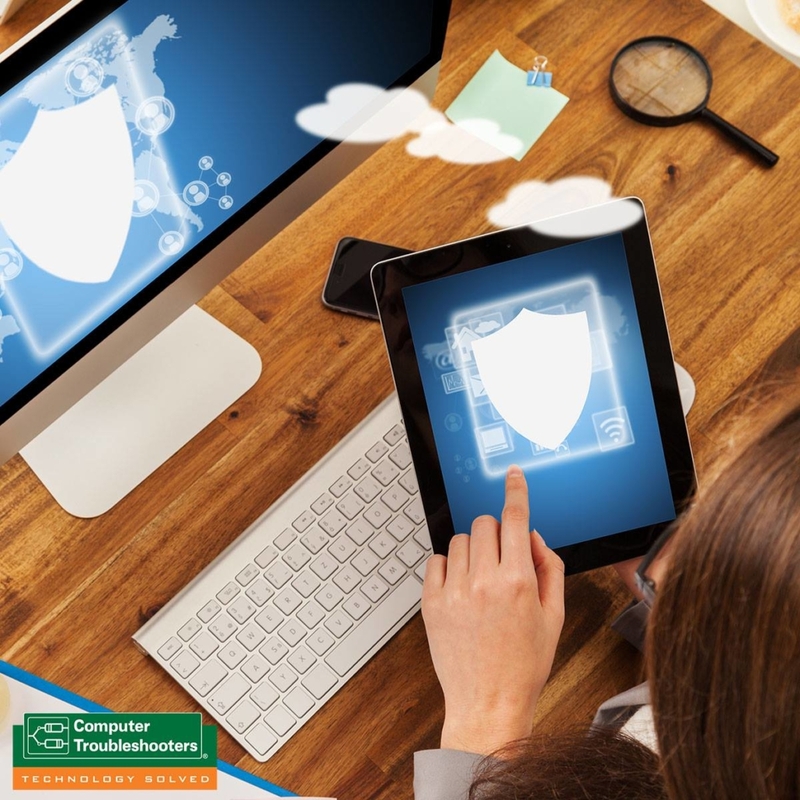 Ensure your operating system is up to date with your anti-virus software. Be careful when opening attachments or links from someone you don’t recognize as it may be a virus. It’s not a good idea to leave your computer on 24/7 and disable automatic login as both of those make it easier for hackers to get into valuable information stored on your device. Remember, once you post something online, it’s permanent. When using social media sites, be selective about what you share and who you accept friend requests or messages from. Don’t overshare on what you’re doing or where you check-in to. Sharing your exact location makes it extremely easy for predators and criminals to find you. It’s vital that we share these tips with our children as well. The internet can be a great place to learn and have fun but can be equally scary and dangerous. By practicing these cyber security tips, you can become a vigilant online user. 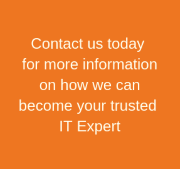 At Computer Troubleshooters, we offer a full suite of IT Security Solutions including anti-virus protection, spyware & malware services, spam controls, employee monitoring, router and firewall solutions, and mobile security services. To make sure your business is protected, contact Computer Troubleshooters today!